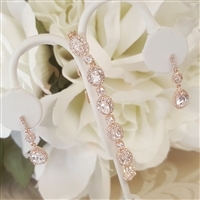 These best selling duos (although can be purchased separately) are available in rose gold, gold and silver. 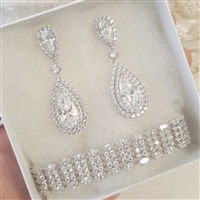 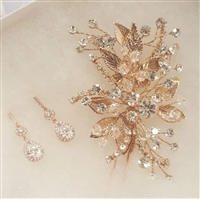 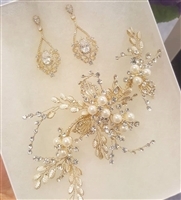 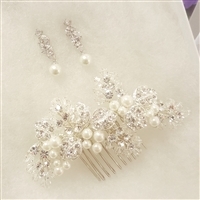 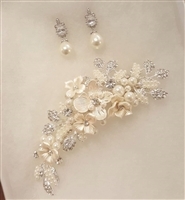 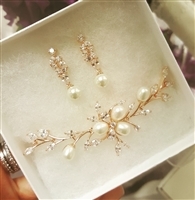 Beautiful crystal and pearl hair comb for the Bride with understated earrings. 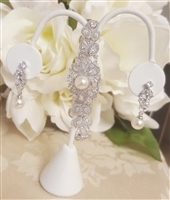 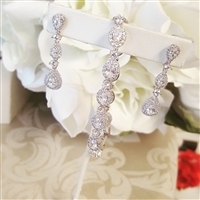 These earrings could also be purchased as a gift for all your best girls at $36. 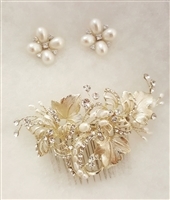 All hair combs and earrings photographed together may be purchased separately. 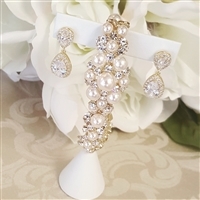 We do not offer e-commerce options so please call us at 856-858-3777 or visit our showroom for more information.